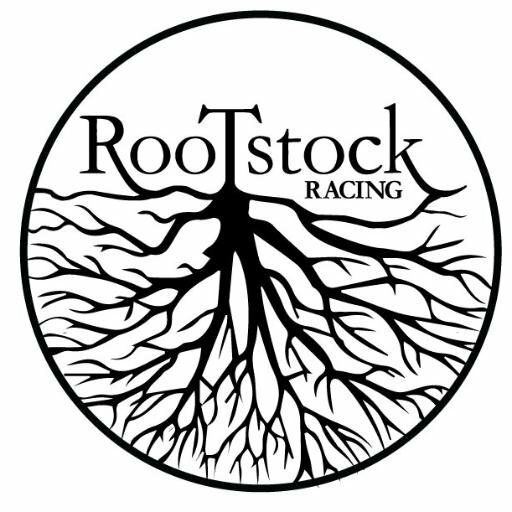 “While Rootstock 2 didn’t win any accolades this time out, I at least walked away knowing that one different angle of a headlamp beam and we would have been right there behind [Rootstock Racing 1]. We weren’t [though], and that reality will always be there for me, but sometimes the growth, emotions, and lessons that come out of the failures in AR are worth much more than the fortune and glory. Well, I raced five more times this year, and while last year was an amazing year, this year may have been even more incredible. The team had an exceptional year with seven victories and three second places on the USARA circuit. Additionally, we finished in second place in two major expedition races: XPD in Tasmania and Untamed New England. While all of this was incredibly rewarding, my sights were set on Nationals for literally the past year. Jim, Brian, and Abby’s victory in Pennsylvania last fall was eye-opening and inspiring. To be honest, Nationals was never a race I seriously contemplated winning; the race has a long history (twenty years in 2019!) of fierce competition. Six teams (not always under the same name: Tecnu/AMK; Wedali; Granite/EMS; MOAT; Team Traveler; and Rootstock Racing) have combined to win fourteen of the nineteen championship races to date, meaning that very few people win this race. I can list dozens and dozens of racers I look up to as better racers than I am who have never won this race. I also know that our team has never been nor ever will be the fastest. We will never be able to outrun or outbike the fastest teams on the course, and we will never be able to race at the truly elite level of four-time champions AMK/Tecnu. Before we could even get to the start line, we ran into some issues. First off: who would race with whom, and what would our strategy be? Last year, we had two squads. We felt one team would be stronger physically than the other, and while we raced together for the first section of the leg, we quickly split up afterwards. The rest was history. This year, everyone had really worked so hard to get ready, and there was no easy way to split up the teams into an “A” and “B” team. The issue became more complicated when Jim found out he would be unable to race. We were fortunate to replace Jim with the extraordinary athlete and teammate Jesse Tubb, who graciously joined the team with the perfect Rootstock attitude of doing whatever with whomever. Thereafter, we had a lot of back and forths on the team composition, and we ultimately settled on an “A” team of Abby and Brian with me navigating. Joel, Nicki, and Jesse would race as Rootstock 2, but we would more or less stay together. That said, we made deliberate decisions to not assist each other in a number of ways. The Rootstock 2 team proved stronger on the paddle and they paddled off on their own. When someone needed food or if someone needed a tow or gear carried, we determined we would only help people on our own team. Yes there is benefit from traveling as a 6, but we also determined that barring a major problem that was unfixable (injury; illness; major mechanical) the two teams would stand by each other. We just like racing together too much, and with teams limited to three, there was no way to balance the teams in a satisfactory way. As it played out, we did hold each other back a bit in regards to speed at different times, but we came up short of actually splitting up. We had about 20 minutes to look at the maps. The course looked big: about 120 miles or so, maybe more. And it was complicated: several embedded sections, many, many route options, plotting on the clock at CP 1, some unique orienteering sections, one of which allowed teams to break up, and another that had some very specific rules in some very difficult terrain. And again, 20 minutes to try to process as much information as possible. In short, up until the very last hour of the race, we never felt like we had a full grasp on what lay ahead or what we would do next. It was incredibly engaging, fun, and rewarding as a racer, and for a team that thrives on route choice, strategy, and navigation, it was a course that played well for us in that regard. But it was also a course that had significant riding, and we knew that this would privilege a few other teams over us. As always, we would need to make good decisions, take care of each other, and stay sharp with the navigation. In those rushed 20 minutes, we did manage to dig into google a bit, and we took note of three places where unmapped trails looked to be useful. I quickly drew them on, and we headed out into the darkness to the start line for what turned out be one of the best day-long courses I have ever raced. The race started, and we had a frantic dash to the boats, in the dark, loaded down with paddles and dry bags. We reached a beach a half kilometer or so from the resort, situated ourselves and then portaged the boats across a narrow peninsula to open water. By the time we pushed off, the sky had lightened enough to see…nothing. The entire lake was fogged in, the water eerily silent. Even with a few other top teams launching right around us, the plumes and clouds of vapors billowing off the water seemed to mute out the sounds of the race, and everyone vanished. For the next hour, we paddled on a bearing, correcting constantly as we were going for broke and straight lining several kilometers north without the aid of sight or shoreline to guide us. After some time, a bank of trees emerged out of the mist. We paused for a moment; we were looking for a wide channel that would connect out to the main body of the lake, but we also could lose time by entering one of a couple of arms that would take us away from our actual route. I had timed our paddle, watched the compass, made some calculations, and I determined that we most likely had not gone far enough. My teammates agreed, and so we cautiously made a turn based on that assumption. Within four or five minutes, I knew we had in fact misjudged our rate of travel: we were flying, and we had nailed the crossing and hit shore exactly where I had wanted to. We turned around and returned the way we had come, losing maybe ten minutes to the mistake. We suspected Untamed New England and some others would have nailed it, and some did. Many more teams, however, lost a much more significant chunk of time to the blind paddle, so we were OK with our lost time. When we reached the inlet for CP1, we found a handful of boats ahead of and several more landing around us. We found our way to the CP, where some volunteers were waiting with UTM coordinates for the rest of the section. We made quick work of plotting and now we had a clearer sense of the paddle: There were two embedded foot loops, one at our current location, and another an hour or so further east on Lake Monroe. We set off for the first loop, completing it in good time and making up ground on the handful of teams that had come in before us. As we pushed off into the water, we found ourselves three minutes behind Untamed and the two Checkpoint Zero teams. For the most part, we held even with these teams for next leg of canoeing. Rootstock 2 pulled ahead and actually closed the gap on the leaders, while we more or less held steady behind them. We paddled hard and reached the furthest paddle loop in an hour or so. One team (Quest I believe) was trailing behind us, and as it turned out, this would be the pack of teams that ultimately jostled for position for the duration of the race. We made quick work of the second loop, and we pushed hard in places, ultimately hitting the water in first place, a position we held for the two hour paddle back to TA1. Once again, Joel, Nicki, and Jesse pulled away from us, and Untamed closed in. We reached TA first, but only a few minutes separated our three teams after a short portage up and over a peninsula. Once at TA, we made quick work of the “Triple Triple”, a nice orienteering challenge. This leg was worth three checkpoints, but there were three sets of three checkpoints. To earn a point, a team had to collect all corresponding points (9A, 9B, 9C, etc.). Teams could bike, paddle, or travel by foot, and we could break up. We took a quick look at the map and determined that we would split into three, two traveling by foot and the third by bike. 45 minutes later, we were back together and off on our bikes, still in first place and extending our lead by a few minutes. From here, the course truly blew up. There were multiple route options and strategies that came into play, and literally until the end of the race, it was not clear how the compiling decisions had affected the field. We had decided to bike to the next TA in Story via a southerly route. We would collect a number of the harder to navigate points and leave a few for the return. Untamed and Checkpoint 0 took a similar route, but they collected two of the three points we left out for our return. That said, I think they also benefitted from a faster route. I’m still not certain, but thanks to our google sleuthing, we had found two spots where we were going to gamble on some unmapped trails. In retrospect, both of these decisions hurt us. At CP19, Untamed biked us down. Britt was crushing the bike as we knew she would, and Dave and Chris were rocking along behind her. We let them pass, knowing that we wouldn’t keep pace. With this information in hand and the realization that our bike trails had hurt us instead of helping, we realized we had given up the lead. There was nothing to do but plough ahead, and plough we did. CP0 passed us on a trail toward the end of our route to Story. Once again, we rolled the dice on an unmapped trail network while they rode off on a longer route to the TA. All things went well for 10 minutes or so as we rode down a trail into a small valley. At the bottom, the trail vanished; we ran into a bewildered group of back-country campers, and then we spent 45 minutes to an hour hike-a-biking along a stream and up and over a ridge. At that point we were on the Story O-Course, and we ran into Rib Mountain who also were having a great race. I’m not sure who was more bewildered to see us: the campers or Rib. We said hello, a bit defeated, and then we bikewhacked down to the TA. And yes, if possible, the volunteers and race directors were even MORE surprised to see us than the campers or Rib had been. You win some and you lose some, but you always have good stories. Our second attempt to get cute. We had a third set of mystery trails in our pocket and decided against them after this debacle. Bottom line: we had lost our chance. Nationals is too deep and too fast. We had gambled on a couple of trails. One of these SEEMED to work but didn’t, and the second just left us with a lost hour and a nice story. Untamed was almost an hour ahead at the TA AND they had collected two more checkpoints than we had. CP0 rolled in as we left, so we were still ahead of them in time, but they too had two more CPs from the bike leg that we needed to find on the way back to the lake. Additionally, three or four teams including Rib, Quest, and the strong all male team TJ79 Moziatex had done something completely different: they had bypassed most of the bike points on the way to Story, opting for a fast, direct route that then provided them with daylight for the challenging O-section. They had been out in the woods for 2-3 hours already by the time we arrived. So, Untamed seemed to have a stranglehold on the race if they nailed the nav in Story, and who knew who was actually behind them in what order among the rest of us. Spirits weren’t bad, but I think we were all a bit resigned at that point. What had started off so well had changed. Not because we had screwed up nav or had any problems but because we had, perhaps, gotten a bit too focused on this additional information before the tech and outside maps lockdown. This happens all the time in our sport: sometimes this information is priceless, and sometimes it ruins your race. At that moment, it felt like the latter. “WOW…This is going to be REALLY hard. It could really be a nightmare.” Just getting to that start punch took some teams 1-2 hours. Once we found the start, we locked in. We had two bobbles that probably cost us 20-30 minutes or so combined, but we still came out the other side with the third fastest split for the section. Considering that we did the whole thing in the dark, that the two teams with faster times had an hour or so and two+ hours of daylight, and that we had our lowest physical moments of the race during this stage, I was thrilled with how it went. Unfortunately, one of the two teams that beat us was Untamed, and so we left the Story TA now racing definitively for something other than a win. It just remained to be seen where other teams were. It was also during the Story section that we came close to breaking up…actually, I don’t think we did, but I was just run down and was strongly suggesting it. Being sick the week before and racing hard had sapped me, and all the normal tricks weren’t bringing me back. 600 calories of food in an hour? Nope. Extra hydration? Nope. At some point, I strongly encouraged Joel, Nicki, and Jesse to take a shot at running down Untamed, but after a fair bit of conversation, we stuck it out together. We kept up a steady pace, Brian relieved me of my mandatory gear and some extra food, and we kept pushing. By the time we were on our bikes, I felt marginally better. I never fully rebounded, but it was enough that we ripped along roads to the northernmost mountain biking loop. We had a blast in there, seeing Rib, confirming that Rib and Quest had done the first part of the bike in a very different fashion, and realizing that maybe we had somehow knocked some time off Untamed; at CP25, we learned we were only 15 minutes behind them. It was clear that they were doing something different than we were up there, and we didn’t see them, but it gave us a little bit of energy. The trails on that loop were fantastic, and the ride out once we had bagged the three points was joyous: a long 5km single-track descent. Not only was it fun, but it also gave me a further break to recover a bit more and get some more fuel in. We also crossed paths with CP0 as we exited the trails, confirming we had opened up at least an hour or more on them in Story. We started to calculate that second and third place was possible depending on Quest and Rib. With that, we refocused and knocked out the rest of the section in good time. We picked off our three remaining CPs, I survived a gnarly wipeout on a “gravel” road (more like a road of rocks), and we weathered the expected sleepiness that started to plague a few people. Oh, and my vomiting all over the side of the road. There was that. We crushed the roads and bombed back down to the lake and boats. The finish looked straightforward: paddle back across the lake. Get your boats back to the beach where we started. Huff it back to the lodge. Check in, and then knock out a short loop of four foot points. But it’s adventure racing, so of course, it wasn’t that easy. First off, the wind picked up, and getting back across the lake was a bit tougher than expected with a near capsize or two. Second, as I noted, this was a course that always kept us guessing. We just didn’t have time to process things before or during the event. Therefore, when we reached the beach, we really were not completely sure what to do or where to go. While Untamed (or anyone else) could have been closing in on us, we knew they were at least 20 minutes or so behind since we couldn’t see them, and we really didn’t want to lose the race because of hazy guesswork as to what we were supposed to do. Instead of rushing off, we dug out our course book and took a few extra minutes to get it straight. Once we had done that, we officially dropped our boats and headed back to the lodge. After checking in and confirming that we were, indeed, the first full course team back, we set off on the last trek. Still no sight of anyone on the beach. My legs were done, my energy gone, and of course, the 3-4 KM loop was not as straight forward or fast as it looked. There was a maze of unmapped trails, field and tree lines that didn’t line up with the map, and walls of thorns and brambles too. It felt like it would go on forever, but with the final CP punched, we ran it into the finish, confident that we had held onto the win. As it turned out Untamed reached the final TA about 40 minutes behind us. We ultimately ended up winning by an hour. Quest made a strong push, finishing a few minutes behind Untamed, and the Checkpoint Zero crew came in not that long after to round out the podium. Rib was further back, but they had a stellar race as well and were the seventh and final team to clear the course. In retrospect, I think our more direct route to Story may have won the race for us, but perhaps in ways we didn’t plan for. While we did lose time in places on this route, by leaving a couple more points out, we didn’t have the temptation to look for a more direct way back to the TA after the northern loop of bike points. They couldn’t have know it (just as we couldn’t have predicted that our unmapped trails would fail us), but Untamed and Checkpoint Zero both lost chunks of time trying to find an alternate route back, a route that looked riskier to us from the start but something we too might have tried if we had collected the other CPs already (CPs 21 and 24, by the way). It didn’t seem worth it to us while we frantically studied the maps since we would be riding back near those CPs regardless, and I think that these decisions from 15-20 hours before the finish were what allowed us to come back and win despite our own lost time earlier in the race. This said, I still haven’t actually seen CP0 or UNE’s routes, so I really am just hypothesizing. Really, I’m still just trying to explain how we managed to come back considering our failed gambles and the fact that we had more controls to pick up at the end. Missing Jesse who flew home earlier in the day. Amazing to bring the trophies back to Philadelphia! !